My favorite character is Po! Our favorite character is Po. Jack Black rocks. He has the new Kung Fu Panda 2 video for the children. My favorite character is Po, I think he is funny. Mr. Ping’s surprise for the children is a Kung Fu Panda 2 DVD! My favorite character is Oogway, the mystic master. Mr Ping is my favorite! He had Kung Fu Panda 2 on Blu ray. I love POE! He is amazing! He is so sweet! He gives them a Blu-ray DVD movie of Kung Fu Panda 2. A Kung Fu Panda 2 DVD. The surprise is a Kung Fu Panda 2 DVD. He has Kung Fu Panda 2 Blu-Ray with Dolby sound for the kids!!! 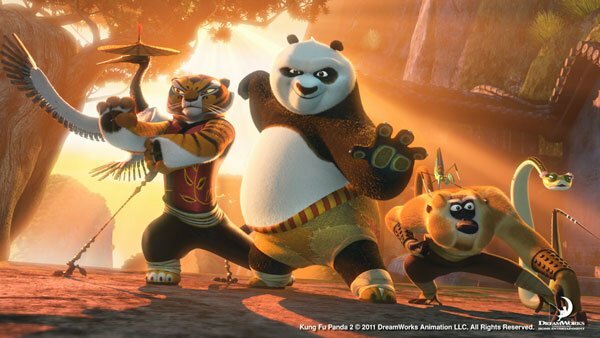 Kung Fu Panda 2 in DVD / Blu-Ray / digital copy is the surprise. Po is our family’s favorite character—I’ve taken a poll. Kung Fu Panda on Blu Ray! My fav is the Mr. Ping! Home Theater Giveaway from Dolby! Kung Fu Panda 2 on Blu-Ray!!! Kung Fu Panda 2 is the surprise. Kung Fu Panda 2 on Bluray! His surprise is that he has Kung Fu Panda 2 on blue ray! He has a copy of Kung Fu Panda 2 for each of them. Po has always been my favorite character. I love Po,he is my favorite!